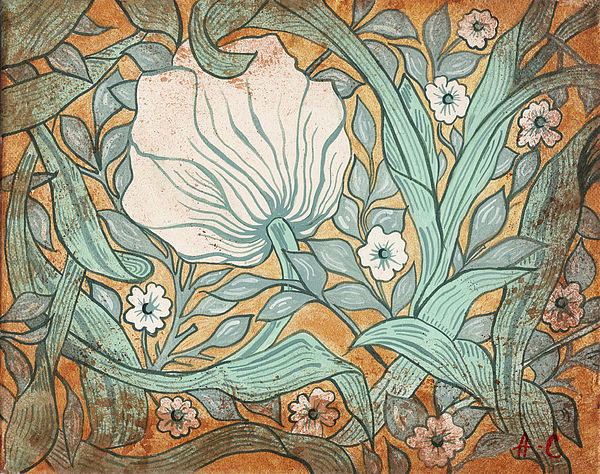 "White Tulip" is a painting from "Secret garden" series. 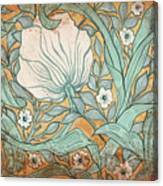 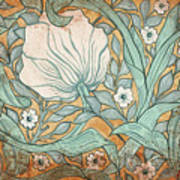 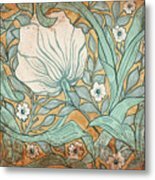 Artist was researching the Arts & Crafts movement in Britain in early 1900s and fell in love with wallpapers by William Morris. His floral patterns overlapped the impression from the trip through North Carolina with it's beautiful flora and fauna and inspired artist for the series of small decorative floral paintings, that look almost like tapestries."